I am delighted to announce that I will be travelling to Doha, Qatar in 2019 to host an empowering 85 hours (7-days) comprehensive pregnancy and postnatal yoga teacher training. Fully certified and accredited by The Yoga Alliance (US) and Yoga Alliance Professionals (UK), this Pregnancy Yoga Teacher Training course will deliver the understanding, knowledge and practical expertise needed to deliver Pregnancy, Post-natal, and Mother and Baby Yoga. It will also inform your practice of safe, effective and inspiring group and one-to-one session delivery to clients who are at a very special stage in their lives. 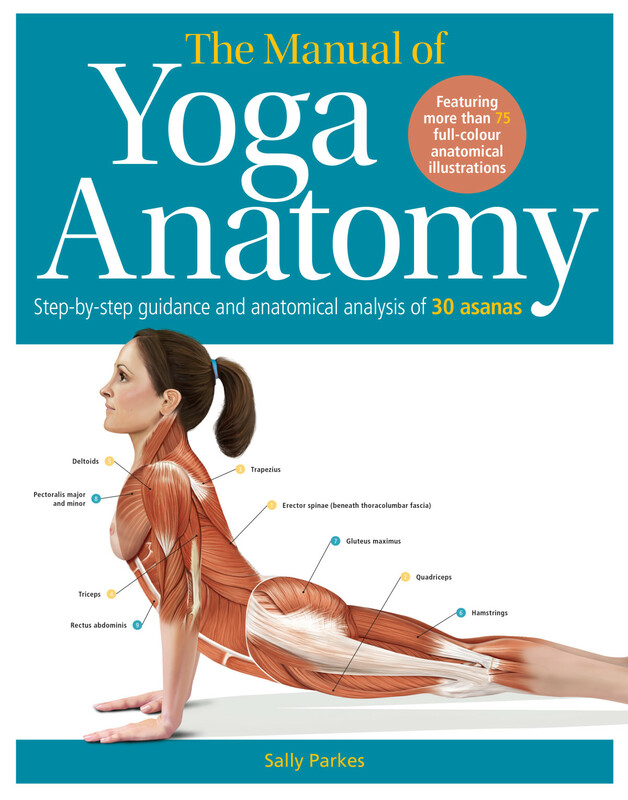 Your own journey as a student on the course involves developing your knowledge and understanding of physiology and anatomy, in combination with pranayama, asana and mudra. Particular focus is placed upon Shakti, the female energetics which are inevitably entwined in the female process of pregnancy. We also discuss and practice the holistic benefits of relaxation, visualisation and meditation, to enable you to teach techniques which reduce physical, mental and emotional stress, whilst increasing well-being and emotional uplift across the sometimes demanding pregnancy journey. The course also offers opportunities to widen your professional knowledge of other relative aspects, such as Pilates inspired techniques which are beneficial to the mother during her post-natal recovery. The final module of the course is the Mother and Baby Yoga module, to develop your understanding and practice when supporting mothers to build amazing bonds with their babies through yoga techniques. Finally, because the end of your learning is the start of your teaching, the last talk of the course is all about how to set yourself up in business as a teacher, including finding and hiring venues, organising classes and personal sessions, and building your business with help from social media. Yoga related movements for all the trimesters to stretch and strengthen the physical body and help alleviate common conditions of pregnancy. Appropriate relaxation, pranayama, visualizations and meditation for the prenatal mother. How simple breath work and deep relaxation can help rejuvenate a women mentally, physically and emotionally. 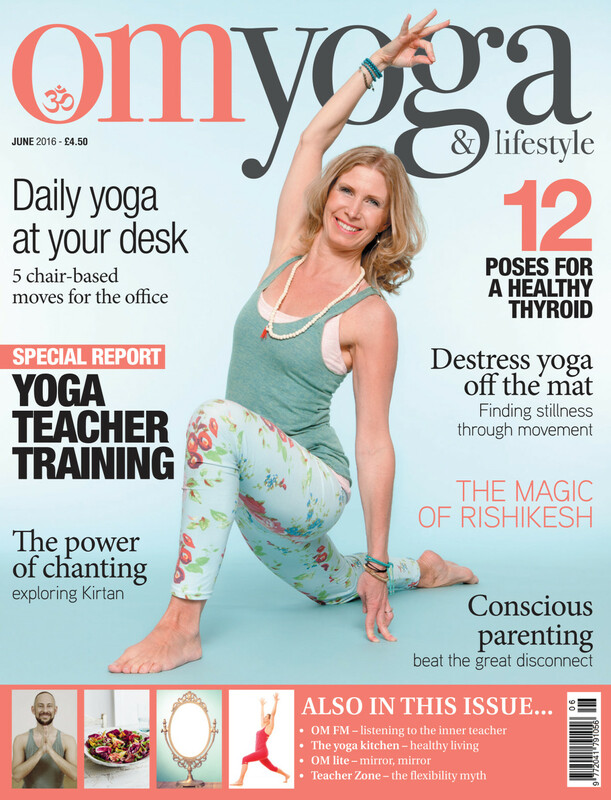 How pregnancy can negatively affect postural alignment, and how with the correct programming of yoga asana, we can in part counteract these changes. Effective use of yoga props to help the mother feel more supported. The difference between sequencing yoga asana for a mother in her second and in her third trimester. Moola Bandha – the importance of a healthy pelvic floor and how the alignment of the pelvis affects its’ engagement. Energetics – An overview of the Chakra System and how the pelvic floor relates to and affects the root chakra. 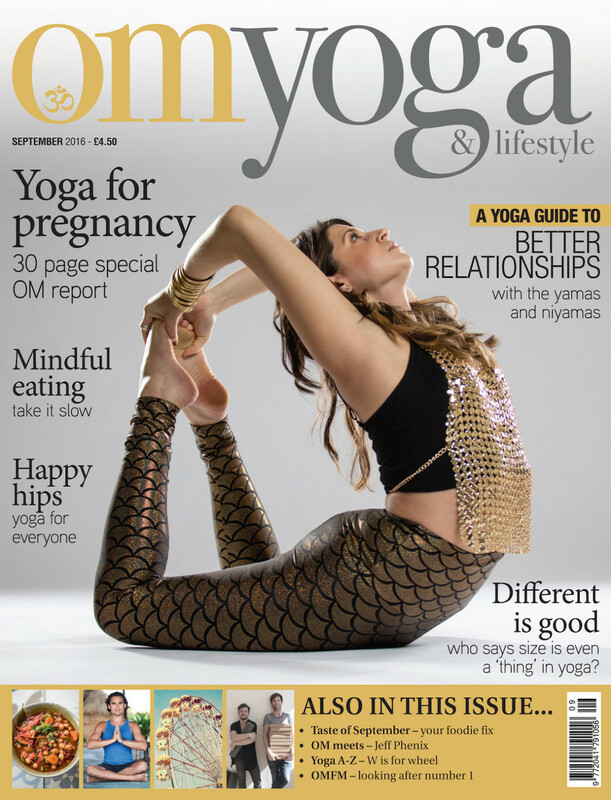 A discussion on the effects that pregnancy has on the direction of prana, and how this relates to birth. Positions for optimal foetal positioning and how the position of the baby may affect labour. Working with an exercise ball and chair for the late stages of pregnancy, in preparation for birth. The importance of the Nervous System, and the role the Sympathetic and Parasympathetic Nervous Systems play during birth. Birth and labour – description of a `normal’ or ‘physiological’ birth. The spiritual aspects of birth. Meditations and birth affirmations for the birthing mother, that can be used no matter how her birth unfolds. Yoga and Pilates related movements for the post-natal period to stretch and strengthen the physical body and help alleviate common conditions of a post-natal woman including postural changes such as upper and low crossed syndrome. How simple breath work and deep relaxation can help heal a women mentally, physically and emotionally. Post-natal recovery yoga for mother who has experienced a medicalised birth ie: medical induction, Syntocin drip, Epidural, Ventouse, forceps, Caesarean Section, and/or birth trauma. Mother and baby yoga – How to plan and facilitate a class safely and effectively so it is all inclusive and involves both the mother and baby. We will discuss and share ideas of how to start your business as a pre and post-natal yoga teacher. We will cover how to register as a pregnancy yoga teacher, writing a health questionnaire, how to take payments for classes, legal data collection and protection procedures etc. You will be able to teach a Pregnancy Yoga class, a Post-Natal Yoga class and a Mother and Baby Yoga Class. Teach a well-rounded yoga class that honours a woman’s mind and body at this special and sacred time. Adapt your general classes for any pregnant ladies who also attend. 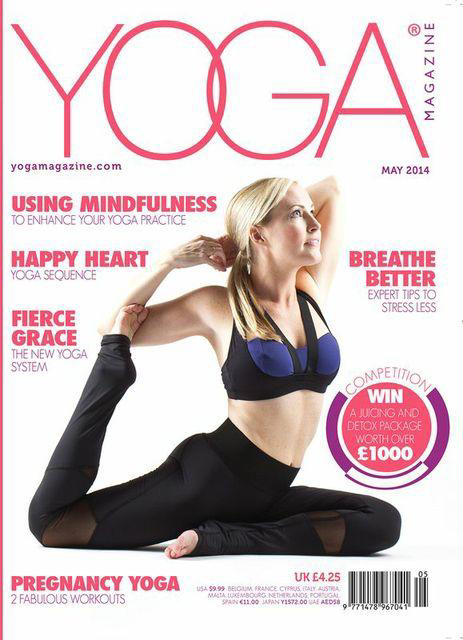 Integrate yoga props and small equipment into your classes and one to ones to make them more bespoke. Adapt the class for those with injuries and/or common ailments such as lower back pain, pelvic girdle pain, low/high blood pressure and fatigue. Have a clear understanding of why it is important to incorporate all elements of yoga into a class. Have the knowledge of what actually happens to the body during pregnancy and birth. How do I achieve my certificate? As part of the 85 hour course program, this course requires you to do some home study and teaching as well as complete the contact hours of the training with Sally. Class observations: You will be asked to take part in three pre and/or post-natal yoga classes and write a brief summary about the class. We understand that it is not always possible to attend a class however, so you are welcome to take part in some online classes. 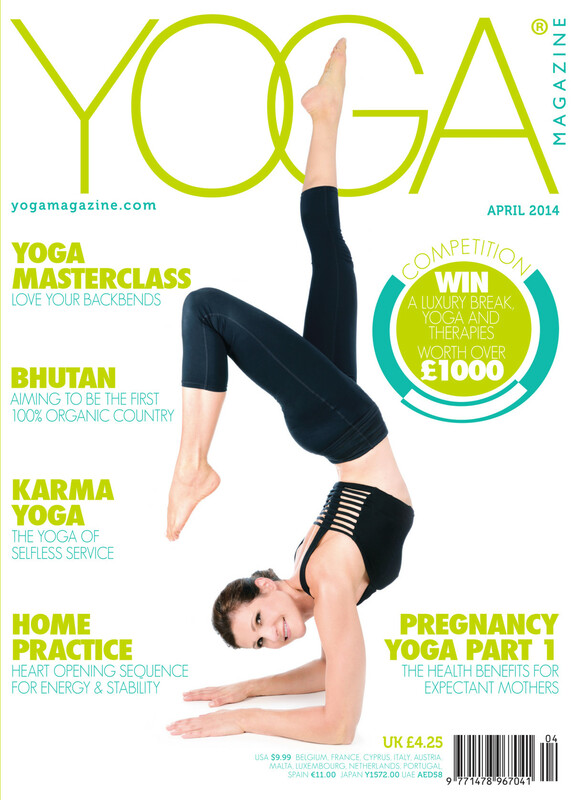 All students are to write an essay on the possible effects of yoga on pregnancy and birth. Each evening you will be invited to read certain parts of the training manual which correlates to lessons the following day. Students will be asked to write a short pregnancy yoga sequence after the third day to teach towards the end of the course to the rest of the group. This will constitute the practical exam for the course. Teaching practice: Following the training with Sally, you will be expected to teach a prenatal yoga sequence (which will have been devised by yourself under Sallys’ guidance) three times to one other person, as though you are giving a private yoga lesson on three separate occasions. You will then write how you felt it went and ask your client for feedback as well. This is then sent via email to Sally. All students are to write up a summary of the effects, both physical and emotional, that each trimester has on the mother. This is then sent via email to Sally. You will also be expected to thoroughly read the course training manual in your own time. Sallys’ 200 page course training manual, which will be received on the first day of your training. The course is open to yoga teachers and those with a with a keen interest in ante-natal education and a passion for sharing this knowledge with mums-to be. This training is 85 hours (including private study time) to meet with the standards of Yoga Alliance US and Yoga Alliance Professionals (UK). All successful graduates will receive a certificate upon completion, which once verified by Sally Parkes, will allow you to register (if you have a 200hr Yoga Teacher Training certification already), with The Yoga Alliance as a Pregnancy Yoga Teacher. Sally Parkes 85 hour Pregnancy Yoga Teacher Training is a Registered Yoga School (RYS) with Yoga Alliance US and Yoga Alliance Professionals (UK) both of which designates this teacher training program as one which follows Yoga Alliance’s standards. Students who successfully complete this training will receive a certificate of completion from Sally. 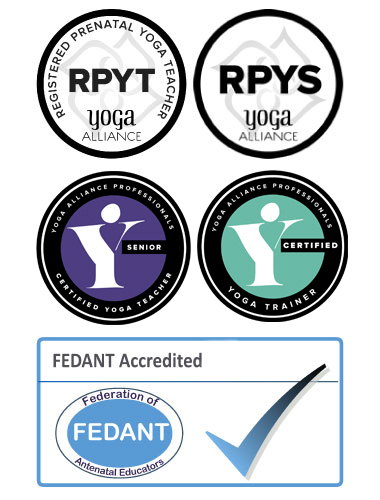 Students who are registered with Yoga Alliance as RYT-200 or RYT-500 are eligible to register with Yoga Alliance as Registered Pregnancy Yoga Teachers (RPYT). If you haven’t yet completed your 200hr training, you can still add the 85 hours should you wish to do a 200hr training in the near future. About your teacher, Sally Parkes, BSc, EYT, SYT. 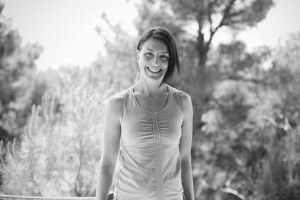 Sally has been teaching health and fitness since 1998 and has studied and taught pregnancy and post-natal yoga extensively since 2007. Her style of yoga is from the lineage taught by guru Uma Dinsmore-Tuli, a leader in the field of women’s well-being, whilst also weaving an element of exercise physiology, Pilates and movement methods gained from her studies in exercise rehabilitation in to her teaching. Now a mother of two lively little girls, Sally continues her studies and has trained as a doula with Michel O’Dent and with Jennifer Walker of Spinning Babies, and has penned many articles for major publications. 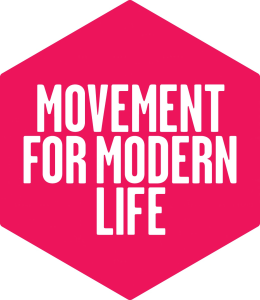 Also the author of The Students Guide to Yoga Anatomy and teacher on movementformodernlife.com, Sally is now a certified Experienced and Senior Yoga Teacher and teacher trainer, who is known for her humour, warmth and all inclusive presentations. She now specialises in delivering solid and thorough pregnancy and post-natal yoga teacher training’s in the UK and internationally. 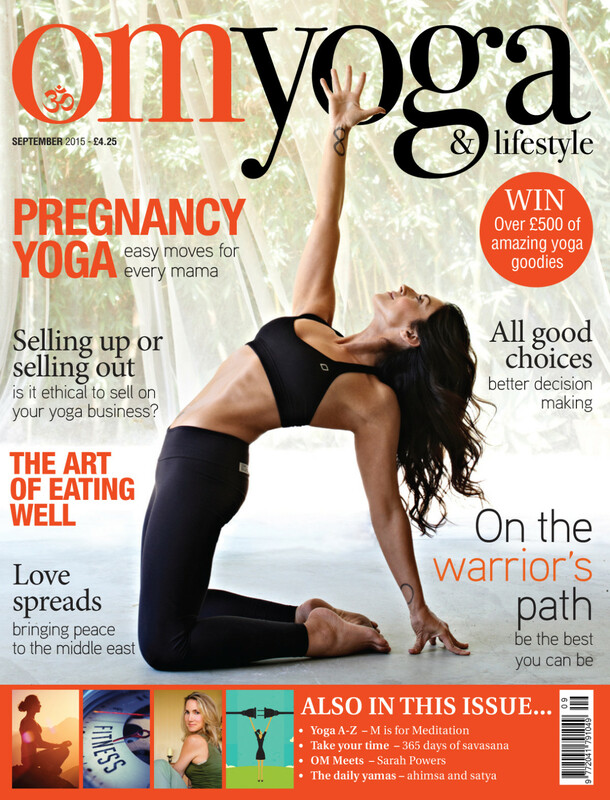 'Sally Parkes' Pregnancy Yoga DVD for health and wellbeing. Or please email info@sallyparkesyoga.com to contact Sally directly.